We are a family-owned, and owner-operated vinyl window replacement company. At Atlanta Vinyl Windows, we believe that replacement window services should provide the best quality, service and energy products in the industry. We place the most importance in honesty, integrity, and affordability. Our value is our customer satisfaction guarantee. Our reputation is completely 100% flawless. Anyone can write a review, however, what we have accomplished in our years of being in the window replacement business is a solid word-of-mouth referral business. It isn’t necessary for us to spend thousands of dollars on advertising to build our business. We believe that vinyl replacement windows should be manufactured by the top window manufacturer’s in the country. We provide our customers with a top quality replacement window at an affordable prices. Simonton Windows is our chosen window manufacturer. Which allows us to deliver top quality products, along with superior customer service. Which makes us one of the top replacement window companies in Atlanta. 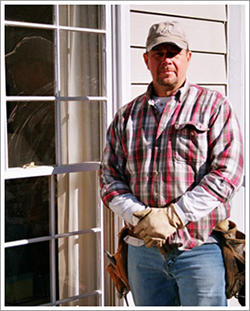 At Atlanta Vinyl Windows, we provide vinyl replacement windows that will fit any budget. You will get quality window installation at affordable prices. Replace your old wood windows or your aluminum windows with energy efficient vinyl windows. Be sure to check out our complete line of vinyl window products today.